We know many of you are as passionate about supporting good food for Georgia as we are. So here are two opportunities coming up for ya … plus a sneek peek bout the next dinner. After a day-long conference/conversation over at St. Philips Cathedral, lots of movers and shakers in the local food movement will convene at Food 101. If you’d like to get involved in local food change, join us at Food 101 in the Highlands for patio drinks and food-forward conversation. rogueApron is proud to announce our first Chef to School event at Cook Elementary school on Memorial near downtown. 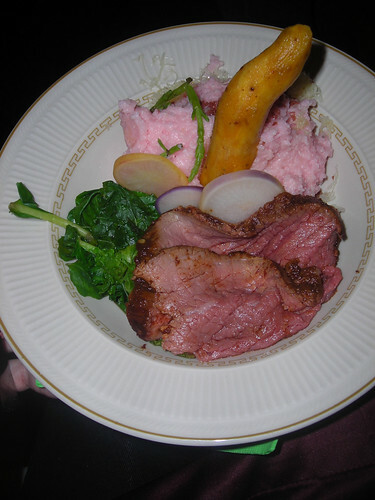 If you’d like to assist Lady Rogue with simple cooking demonstrations, please drop a line at ladyrogueATL@gmail.com. 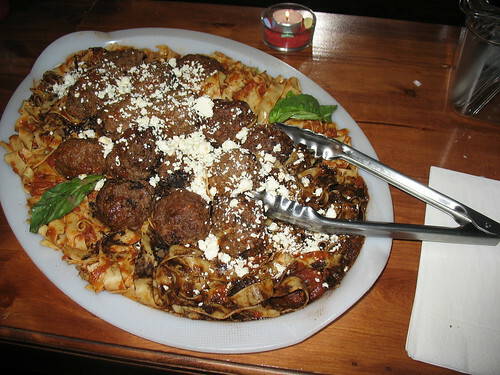 NEXT DINNER. Oh, you guys always want to know. How does a magical garden dinner with an Alice in Wonderland theme sound to you? Follow the white rabbit … you’ve got until the first weekend in June to get your costume ready. Registration available soon. 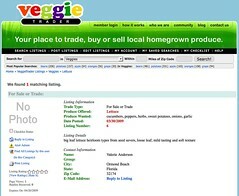 veggieTrader.com, a two-week old site out of San Fran, aims to connect home gardeners with folks looking to swap or sell their excess. Right now the site is bare of Atlantans, but that’s sure to change as word gets out. Let us know if you sign up! Check out a sample posting of Floridian homegrown lettuce. Yums. Thanks to Lissa Smith for the tip! Sticks and Stones is NEXT week – Saturday the 18th. We had a chance to visit Collins at Harvest Farms today, putting together the details of the event. This is gonna be a lot of fun … we have some teamwork, games, and rad headgear planned for you guys … plus helping kickstart a local organic farm that (really) needs our help. • COMMUNAL PICNIC CLOTH: Have an old sheet or blanket? Or a few? Please bring it to contribute to our communal picnic area. Our volunteers will set up a lovely dining area with your contribution – either take it home at the end of the day, or leave it for future rA picnics. • TREAT CONTEST: If your hands are itching to cook, enter our treat contest. Bring a treat to share … winner takes home a rogueApron tshirt. • REUSABLE CUPS & PLATES: In order to cut down on waste, please bring your own cup & plate for beer & picnic. Yay green! • NEED TO SWITCH SHIFTS? A few of you guys emailed about this … yes, it’s absolutely no problem at all if you’d like to switch from AM to PM or vice versa. We’ll send out the confirmation form early next week; just confirm appropriately. • WANT TO VOLUNTEER FOR SETUP OR KITCHEN PREP? We can always use a few extra hands, so email ladyrogueATL@gmail.com if you’d like to join the prep party (Friday, 17th) or help setup the day of (18th). Hey guys … The first question anyone ever asks us is … when is the next event? So, in the interest of helping you plan, we’re launching a new section of the site, with an overview of planned events – including those that our friends are putting on that you might be interested in. Hope this helps! For you Google Calendar users or RSS folks, subscribing to our feed is a great way to keep yourself posted. You can cut and paste this link into any calendar program, or you can subscribe in any RSS reader. You can also get RSS feeds via email by signing up via Feed My Inbox. 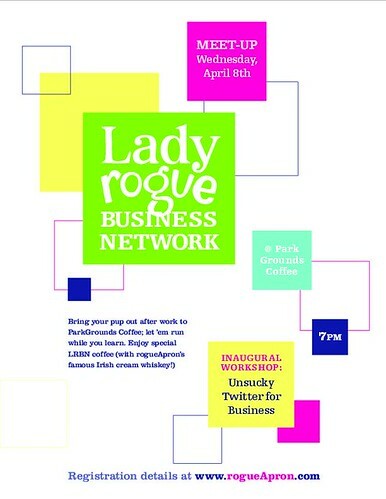 So, most of you guys know that we created a spin-off entity, the Lady Rogue Business Network, in order to better connect all the great DIY entrepreneurs we were meeting and partnering with at events. Hey, Atlanta’s cool like that. Our little network of rad folks is over 100 folks strong at the moment (hooray nonsucky networking). Members have asked us to start putting together workshops – on subjects as varied as social media, photography, and business licenses. Heck, we gotta support each other in rough times, right? So, announcing our very first workshop – 7pm at ParkGrounds Coffee [map] in Reynoldstown. (What can we say, we love that joint, and we want to support it as much as possible!). Join us on April 8th for a lil learning, a lil networking, and … oh heck … maybe a slug of Irish Cream Whiskey in your coffee. (You know how we roll.) $10 donation – more if you feel it was worth more. Lead by the infamously web-nerdy Lady Rogue. Erm, me. p.s. If you haven’t checked out our business network yet, do so now! These folks are super nice and rogueApron approved!